New opera houses are a rarity. So it’s a remarkable demonstration of the rise of country-house opera that a second venue is about to open its doors in the UK in the space of a year. Wasfi Kani opened the first: an entirely new theatre at West Horsley Place in Surrey last June, which transferred Grange Park Opera from its original base near Alresford in Hampshire after its 2016 season. 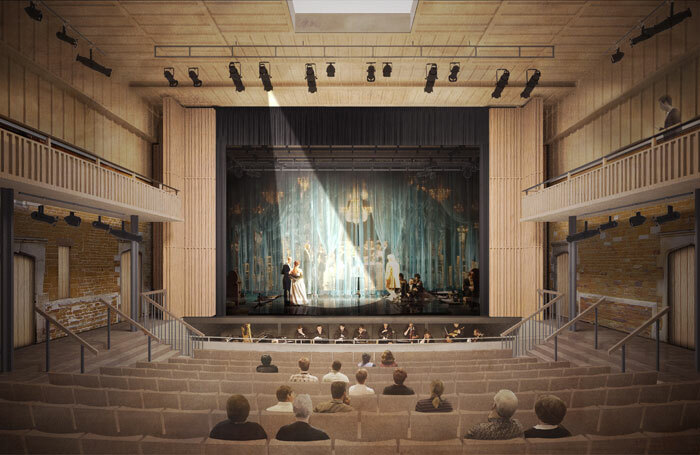 Meanwhile at Nevill Holt in Leicestershire – where a temporary structure in the manor house’s stable yard has staged opera since 2004 – architects have created a permanent theatre that will seat 400 people, 80 more than its predecessor. It opens on June 14. 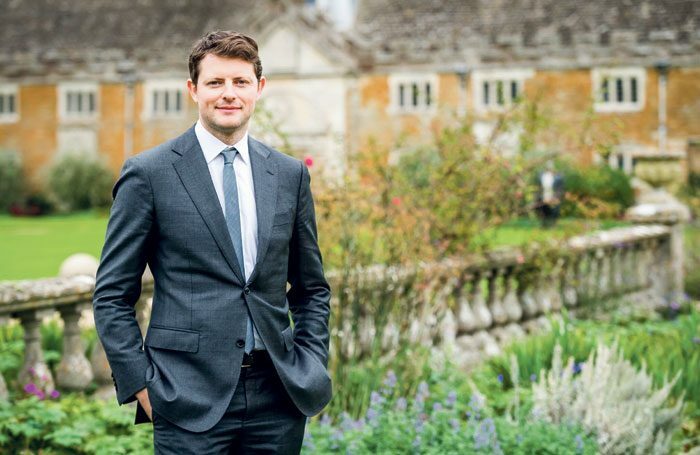 Conductor Nicholas Chalmers is artistic director of Nevill Holt, running it alongside general manager Rosenna East. They are the two permanent members of staff of a company that this year presents seven performances of two full-scale productions. Mozart’s Le Nozze Di Figaro, which Chalmers conducts and Joe Austin directs, opens the venue. It’s followed by Thomas Ades’ first international success, Powder Her Face – the tragicomic study of the last years of the scandalous Duchess of Argyll, to a libretto by novelist Philip Hensher. Ian Ryan conducts a staging by Antony McDonald first seen at Northern Ireland Opera in 2017. At 40, Chalmers is a widely experienced musician and administrator, who has found success in establishing and running opera companies. Born in west London, he is the son of a South African jazz drummer and a pharmacist mother who was an amateur violinist. His own musical inclinations developed seriously after he joined the choir school attached to Tewkesbury Abbey in Gloucestershire, where he spent four years. Church music played a significant part in his training and early career, most notably during the five years he spent as assistant organist at Westminster Abbey, and he is still director of music at St Jude-on-the-Hill, Hampstead Garden Suburb. But following a music degree at Oxford and studies in Italy, opera gradually took over. At Oxford, Chalmers got to know Oliver Mears – now the Royal Opera’s director of opera – and in 2004, together with Abigail Toland, they founded the company Second Movement, whose initial brief was to perform unusual one-act works in offbeat venues. Organ scholar at Chichester Cathedral. Assistant chorus master, English National Opera. Planning and auditioning singers for Nevill Holt Opera’s 2019 and 2020 seasons. Follow your own instincts and trust your emotional intelligence to resolve and influence others. The recordings and artistry of conductor Claudio Abbado. Be yourself, be well-presented and be enthusiastic about the company and project you are auditioning for. Chalmers and Toland are still involved with the enterprise, which since 2011 has presented an annual series of new works at London’s Cockpit Theatre under the overall title of Rough Opera. 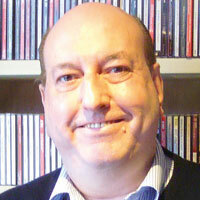 In addition, between 2008 and 2011, Chalmers worked as English National Opera’s assistant chorus master, later moving up to chorus master. Meanwhile, in 2010 Mears was invited to launch Northern Ireland Opera – a new company based in Belfast – where he brought in Chalmers as the regular conductor. For the company’s high-profile launch in March 2011, Tosca was staged in three different locations in Derry/Londonderry. Chalmers recalls that of the audiences of 600 people a night, 400 were experiencing their first opera. It was followed by stagings of The Flying Dutchman, Noye’s Fludde, Macbeth, Salome and Powder Her Face that received international attention and put NI Opera well and truly on the map. Conducting all these and more, Chalmers continues to maintain a close working relationship with the company. 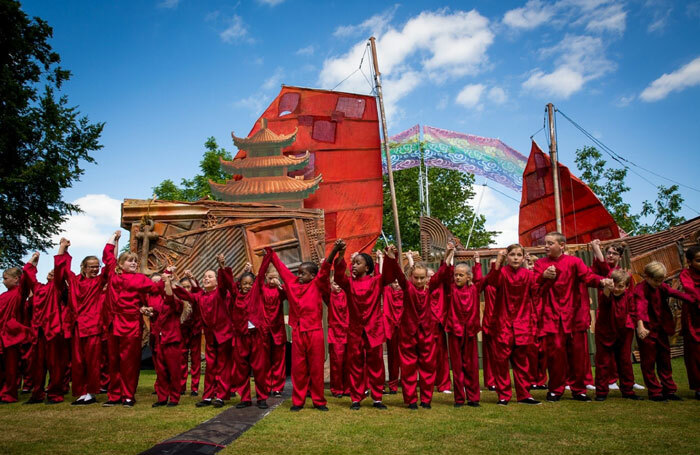 He remains particularly proud of a staging of Britten’s Noye’s Fludde created as part of the 2012 UK Cultural Olympiad and staged at Belfast Zoo. “That show had the biggest impact. It was very visually striking, conceived for outdoor presentation and required 150 children. All the parents became involved, too, and that meant that we had audiences for our future productions.” The show has been revived repeatedly at Nevill Holt, most recently in 2017. The venue was created by Carphone Warehouse co-founder David Ross, who loves opera and bought the Nevill Holt estate in 2001. One night he sat next to Grange Park theatre’s Kani at dinner, who offered to bring a show over from Grange Park when she learned about the stable yard. “It worked, so it continued year after year, but after 10 years, David decided he wanted something more home-grown,” Chalmers says. And this was where he came in. Established in 2012, the new arrangement was launched the following year with Oliver Mears’ English-language staging of The Magic Flute. Choreographer Ashley Page’s La Boheme, involving 15 academy students, followed, along with The Turn of the Screw; but even by 2013 it was becoming clear that the issue of the theatre building needed resolving. “When it rained or was windy, it became hard to hear the music and our permit on the temporary structure was coming to an end. Early in 2014, we held discussions with three teams of architects,” Chalmers says. The firm of Witherford Watford Mann was chosen to create a proper home for the company. Nevill Holt’s 12-strong chorus is made up of young students and professionals from the UK’s conservatoires, who also cover principal roles. Many have subsequently gone on to appear as soloists. This year, the company has formed relationships with two leading orchestras. The Gateshead-based Royal Northern Sinfonia performs Figaro and, once the Nevill Holt season is over, it will put on further performances at Sage Gateshead, and a concert version at St Jude-on-the-Hill; meanwhile, the experienced Britten Sinfonia is in the pit for Powder Her Face. These are already major steps up, but are there further plans for expansion? “I would like to go up to nine nights in 2019. We have hopes to grow further – maybe to three operas over 12 nights – as well as receiving touring plays and other shows between April and October,” the artistic director says.